SURV stands for sport-utility recreation vehicle. There are two types of SURV: motorized and towable. 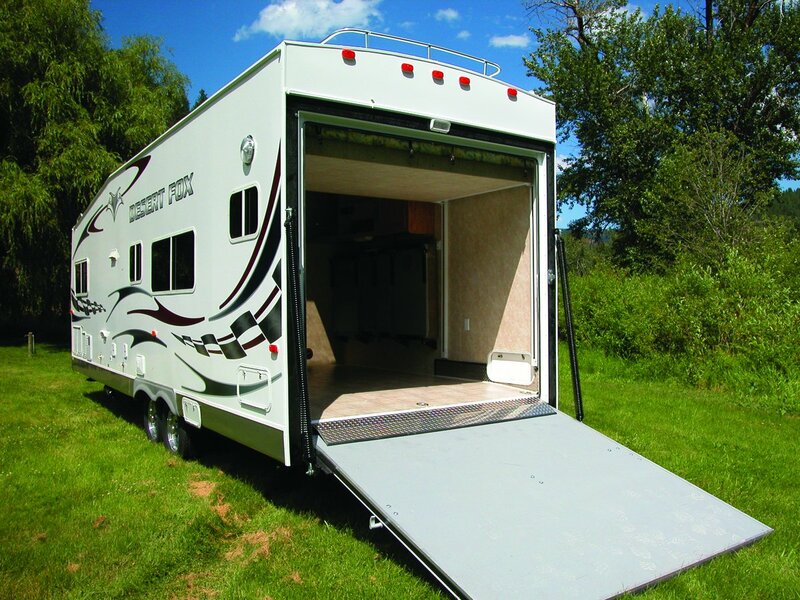 A motorized sport-utility RV (SURV) offers all the features of a standard motorhome along with the ability to haul your favorite recreational toys in a garage usually built into the rig’s aft end. When the toys are out, the garage area typically can be converted to sleeping or recreation space via fold-down bunk beds, tables and sofas. In some cases the garage roof is built higher to accommodate a sleeping loft overhead. Because the garage takes up extra space, the rest of the coach facilities are packed into the remaining floor space up front. This can reduce the functionality of the facilities compared to a standard motorhome of similar size. This seems a fair tradeoff for the ability to haul your toys in secure safety. This segment of the RV industry is still growing like crazy because SURV trailers are such a practical idea. As with motorized SURVs, a portion of the space inside a towable SURV is dedicated to a garage-style storage area for motorcycles, quads, bicycles or other recreational toys. The garage space is usually convertible to extra eating and/or sleeping space, in common with motorized units, which keeps the rig functional when the toys aren’t aboard. Due to the extra weight of the cargo, it’s often not possible to haul the same size SURV trailer as you might tow if it were a conventional model. Also, the scent of gasoline and assorted lubricants may remain in the trailer even after the toys are removed, but this is no big deal for most users of SURVs.